We are happy to announce! 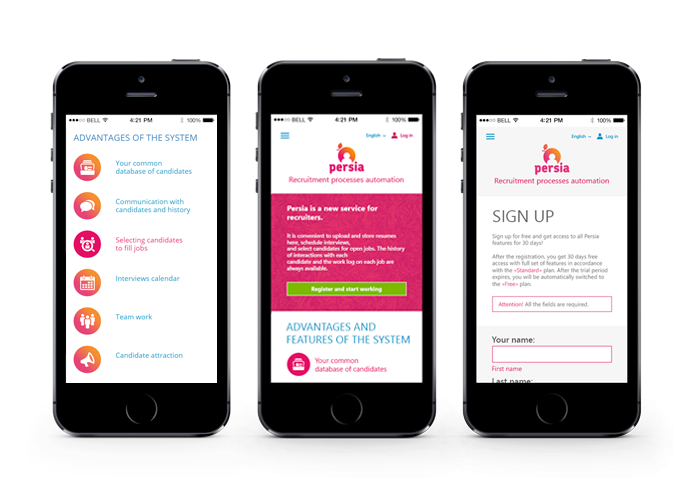 We designed and developed a new promotional website for Persia, our applicant tracking system. The website works fine on smartphones and tablets. On the site, users can get detailed information about Persia’s features, choose a suitable price plan and register in the system. Read more about the Persia promo website development in our portfolio. Find more information about the system’s main functionality and the process of its creation in Persia case study. 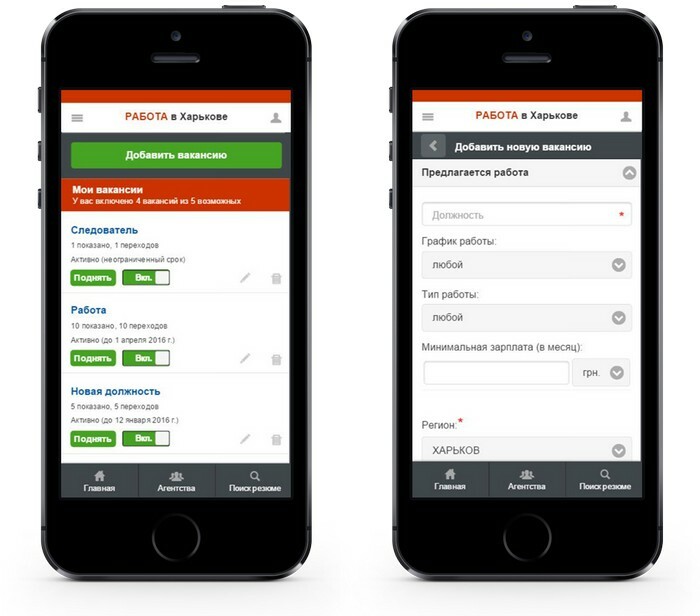 Meet the mobile application for our job search website Jobs in Kharkov! Great news! 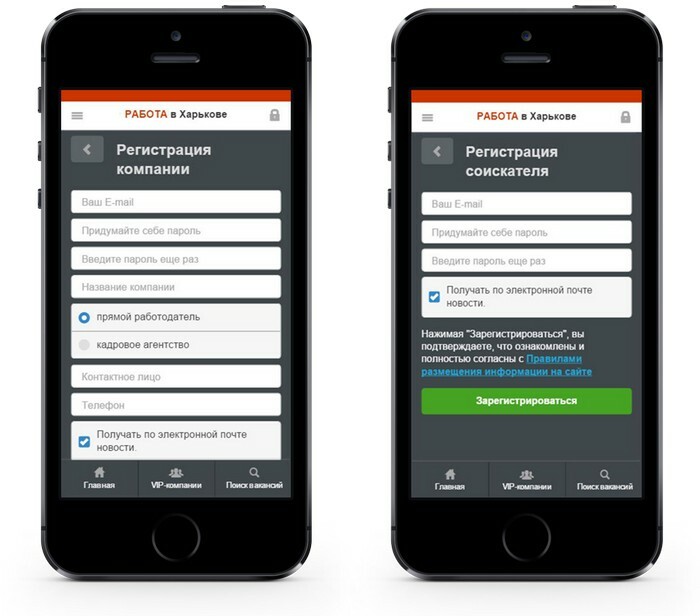 We launched the official mobile application for the Jobs in Kharkov website, the largest regional job search and recruitment website in Ukraine. Our main objective was to create a product for mobile devices that allows users to search for information about available jobs, employers and qualified professionals using their smartphones. We designed a simple interface, set up the data exchange between the app and the website database, built and published the mobile app for Android and iOS devices. The Jobs in Kharkov app is an easy and convenient tool to search for vacancies and applicants. And from now on, the latest and the most relevant information is always on your smartphone. 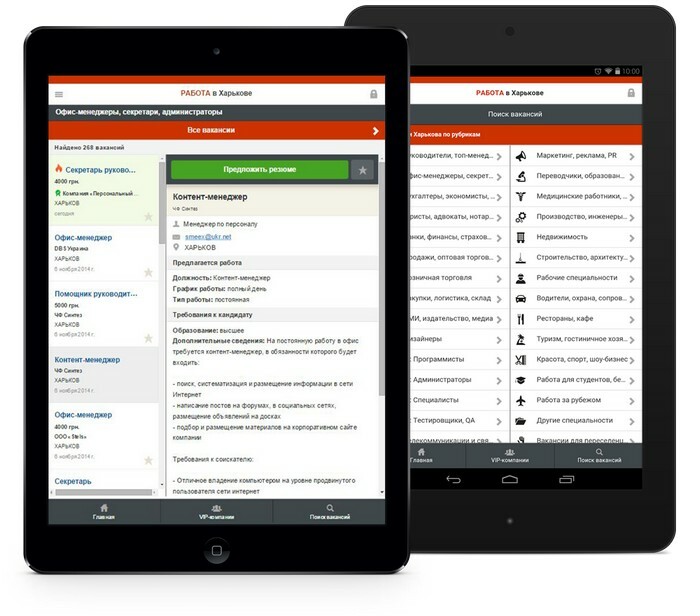 Read more about the Jobs in Kharkov app and its functionality in our portfolio.